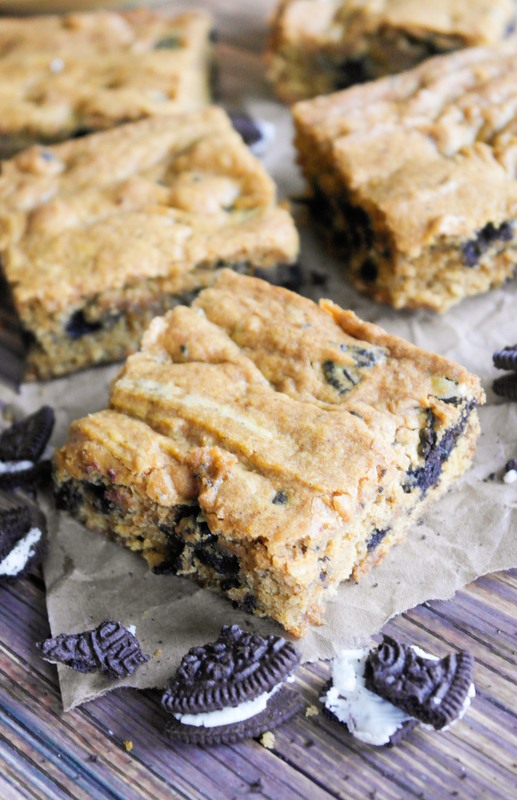 These Pumpkin Spice Oreo bars are soft and full of cinnamon and nutmeg. 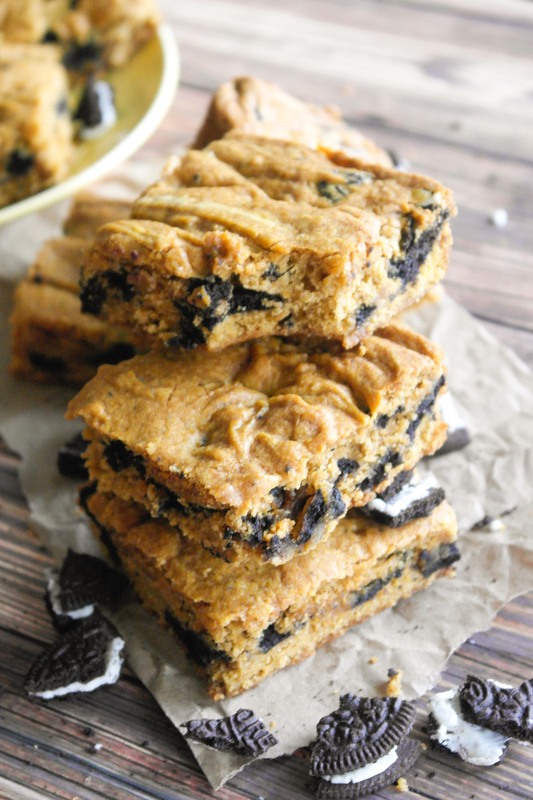 The Oreos don’t overpower the pumpkin flavor and add crunch and texture to the bars. I love this time of year! I love when things get a little more crisp. Oh and speaking of crisp, I love having a bag of Honeycrisp apples in the refrigerator that I can enjoy every single day. Nothing makes me happier than a big bite of crisp, juicy apple. I will say this about my archnemesis school (aka the University of Minnesota): thank you for inventing the apple breed, the Honeycrisp. I digress. This post is about pumpkin, not apple. I swore that I would not post a pumpkin recipe until October, and now here I am! I was so excited to whip out my first pumpkin recipe that I made two pumpkin recipes in one morning. 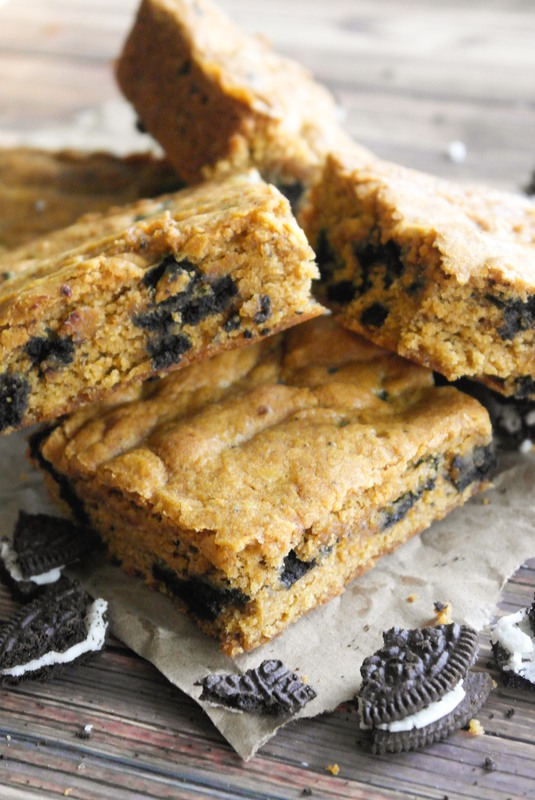 The first were these Pumpkin Spice Oreo Bars. The second recipe was healthy pumpkin breakfast bread, but that will be for a later post. But seriously look forward to it because it was some fantastic stuff. Now for these bars! They are an official welcome to fall, if you haven’t already indulged in every kind of pumpkin flavored thing you could get your hands on. I will be the first to admit that I bought pumpkin spice Jif Whips, pumpkin spice candy corn, pumpkin spice oatmeal, pumpkin spice cookie dough (this one was a mystery to me because I can bake…). And it’s not even November yet! So much more pumpkin spice things to come my way. These bars are absolutely delicious. 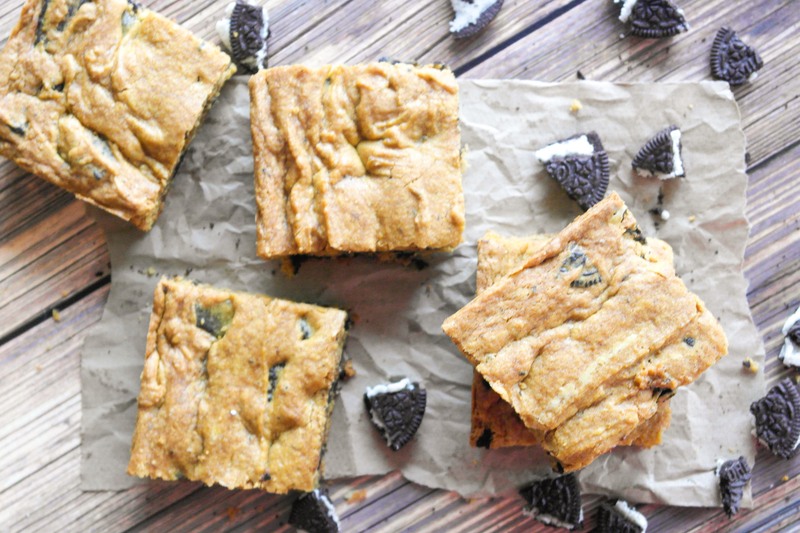 They are somewhere between cake and cookie, but that “somewhere between” is an absolute heaven. 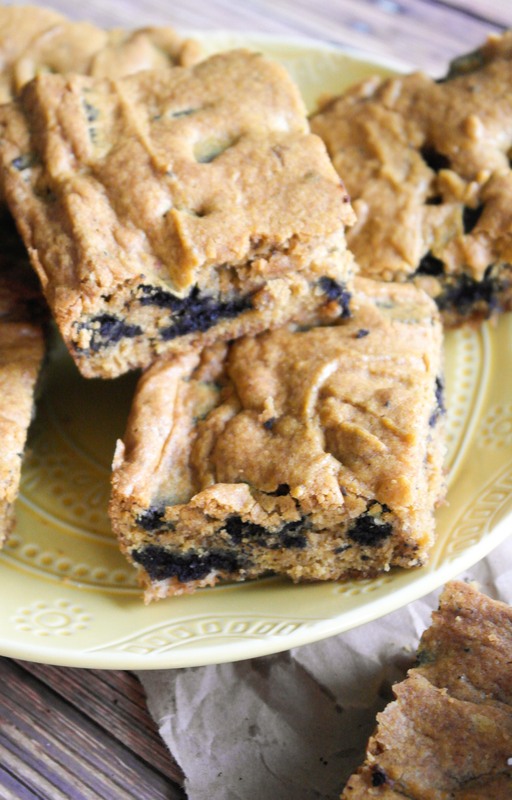 These bars are not cookie-like, but much more cake-like. Why? Pumpkin is full of water and the more liquid you add to a recipe, the more of a puff it gets, thus the cake-like aspect. These bars are quick and easy to put together. One thing that I did to prevent the bars getting chewy was crunching up the Oreos directly into the flour. It made for a really funny looking dry mixture, but it definitely saved me a couple minutes of additional mixing. One thing that is essential to these bars is the spices. Don’t skimp on the spices! You want that lovely fall flavor. I sometimes think that pumpkin is so addicting not because of the pumpkin (it is relatively flavorless if you think about it but it just imparts so much moister) but it’s the spices in tandem with pumpkin that makes it so addicting. 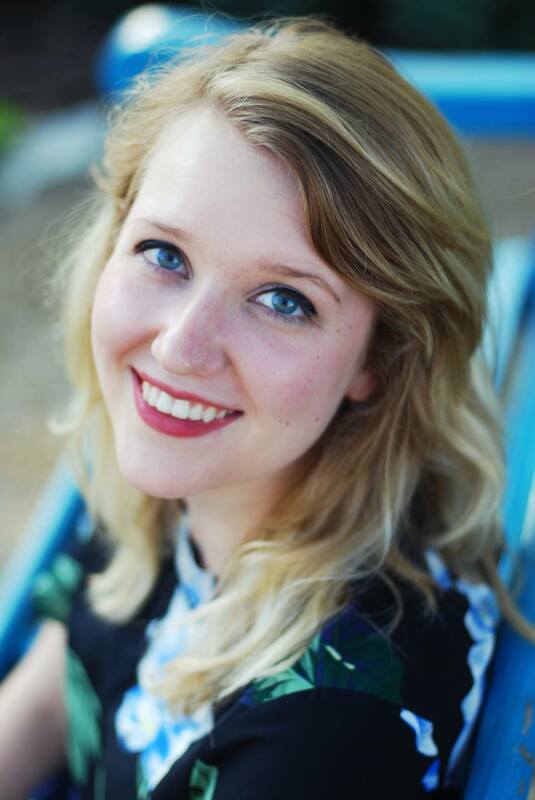 You are most certainly welcome to get creative with these bars. Add in chocolate chips. Maybe add in peanut butter chocolate chips! Put a layer of thick cinnamon frosting on top. These bars have endless, delicious combinations to explore. I even think apples would be fantastic in them, but my apple-in-baked-goods obsession is through the roof right now. Enjoy and tell me how they turn out! 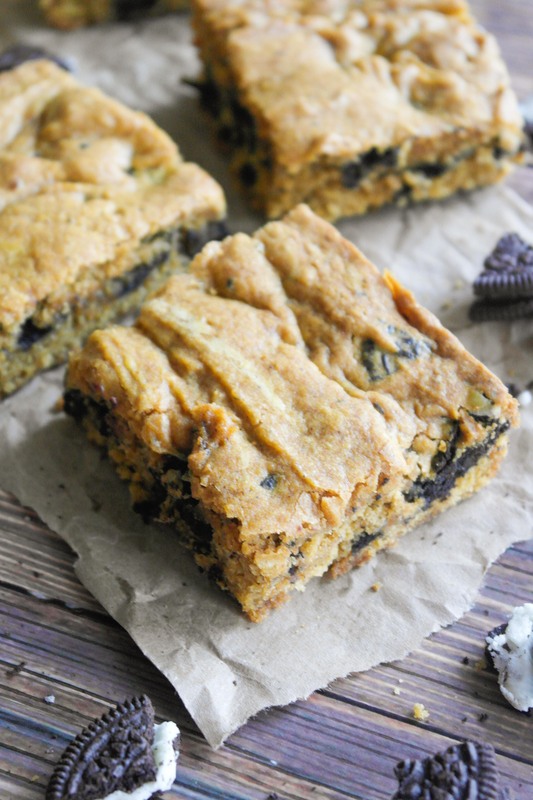 These Pumpkin Spice Oreo bars are soft and full of that fall flavor. The Oreos don’t overpower the pumpkin flavor and dimension and texture to the bars. Preheat oven to 350 degrees. Grease a 9″ x 9″ pan. In a medium bowl, cream butter and sugars. In a separate bowl, mix together the pumpkin, egg and vanilla. Add to the butter mixture and beat until creamy. In a separate bowl, sift together the dry ingredients. Break the Oreos by hand and mix into the dry mixture. Mix the wet and dry ingredients together. You can do this step by hand. Put the bars into the greased 9″ x 9″ pan. Bake for 40 minutes, or until the center is fully cooked. These bars look so delicious.. definitely wish I had one to devour! 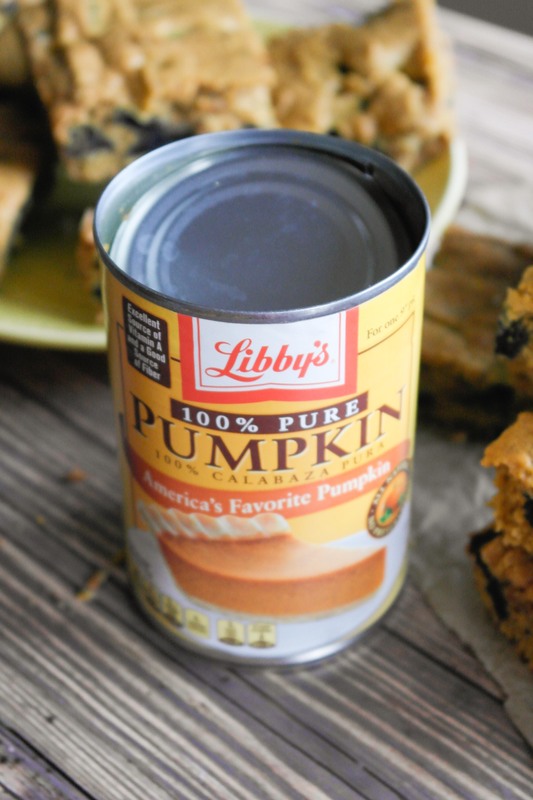 I love that you combine oreos and pumpkin together – I can imagine the flavours match perfectly. Pinned! Helllloo! Thank you! Oreos make everything better. It’s a rule of life.